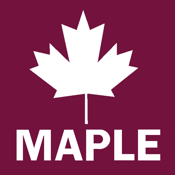 Maple is a company with a human face and not a corporate one. Apart from our extensive and unrivalled experience in the area we recognise that whether buying, selling, renting or letting, your 'moving experience' should be as pain-free as possible. That's why at Maple, we put you first. Our trained and experienced professionals know the local market inside out and can be relied on for informed impartial advice. Our reputation in the area means that we handle a wide range of properties but we guarantee the same level of service, irrespective of the property size, location or price. With over 20 years joint experience, our trained staff have expertise in providing the highest level of service to make the transactions of buying, selling or letting your home as smooth as possible. That's why, if you are buying, selling, renting or letting, you need look no further than Maple as your ultimate property adviser.